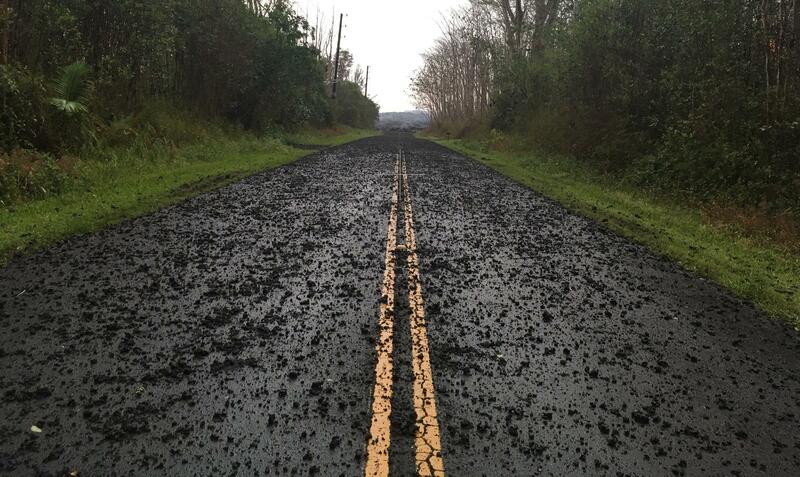 Tephra (airborne lava fragments) erupted by the high lava fountains of fissure 8 was carried downwind, where the frothy rock fragments fell on Leilani Street, just past Kupono Street, in the Leilani Estates subdivision. Photo taken May 29, 2018. Hawaiʻi County wants information on how businesses on the Big Island are being impacted by the lava flow. Diane Ley is Hawaii County's Director of Research and Development. "The department sent out a request for businesses to submit information relating to their preliminary damages due to the current eruptive phase of Kīlauea Volcano. This assessment does not mean that businesses will be eligible for any type of assistance from county, state, or federal government. We know this is an ongoing eruption with ongoing impacts, from lava, ground cracking, gases, and businesses being required to relocate, cancellation of visitor stays, and other loss of sales. We need to get at least a preliminary snapshot of what's going in our business communities throughout the island." The County is already readjusting property taxes for lost or inaccessible properties. Ley says this request goes further. "If the damage assessments rise to a certain level, there may be eligibility for additional relief beyond the existing programs that have already been announced. We're just trying to collect the data and give it to leadership that can look at existing programs or say we need additional legislation or additional funding put into relief for Hawaiʻi County." Ley says if individual business losses are enough, the Federal Government may have additional relief programs for businesses. The forms are available at the web site for Hawaiʻi County Research and Development.